The Coptic Orthodox priests of Samalout in Minya governorate have sent a letter to the Interior Minister Mahmoud Tawfiq asking to meet him to discuss their plight and demands. Samalout is situated 220km south of Cairo and 30km north of Minya, the capital city of Minya governorate, which in turn lies 250km south of Cairo. “Given that we have no problems with our Muslim fellow villagers,” the priests said in their letter, “We appeal to you that these churches may be opened before the upcoming feast of the Epiphany,” [Copts celebrate Epiphany on 19 January]. Samalout priests concluded their letter by expressing hope to meet the Minister soon. They said the wished to explain to him the agony of the Copts who need to travel to neighbouring villages or towns to worship, seeing that there is no church for them at home. “The dangers of the road, the cost and inconvenience of having to travel in order to be able to worship constitutes great hardship. 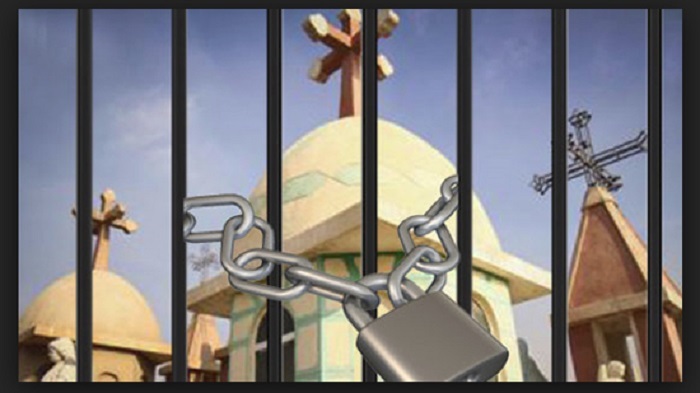 But Copts have to do so since they are deprived of churches in their own villages. They end up deprived of their constitutional right to practise their religion.” The letter listed six closed churches, specifying the status of each and the date on which it had been closed. In all six cases, the closed churches were the only ones in their respective villages.